An experienced DWI attorney can discuss the possible defenses and potential outcomes for your case. Attorneys at Thomas, Ferguson & Mullins can make sure that your legal rights are protected and ensure the best possible outcome for your case. DWI is a serious offense, but there are circumstances that may influence the outcome in your favor depending on your circumstances. We’ll ask the tough questions. Did the officer have a right to stop your vehicle? Did the officer have probable cause to arrest you for DWI? Did the officer properly administer or interpret the field sobriety tests before arresting you? Were proper procedures followed during your arrest? Were proper procedures followed during any breath or blood tests? The goal is to have the charges dropped. If that’s not possible, we’ll seek to have them reduced and argue for the least possible punishment. During a free consultation, we’ll explain your legal situation and the process that lies ahead. If you choose our firm, you can rest assured our cumulative experience will be used to get you the best possible outcome. Most people understand operating a vehicle on any highway, street, or public vehicular area with a blood alcohol concentration (BAC) of .08 or more, but there are other legal standards. According to North Carolina General Statute Stat § 20-138.1, you can be charged and convicted of DWI if under the influence of prescriptions, over the counter, or illegal drugs. There is a zero tolerance standard for any amount of a Schedule 1 controlled substance in your system. These include heroine, ecstasy, GHB, methaqualone, peyote, and opiates based drugs like OxyContin and Vicodin. There’s also a zero tolerance for underage drinking and driving. A DWI charge is typically accompanied by a 30 day civil revocation of your driver’s license which revokes your license for 30 days. You may be eligible for a limited driving privilege after 10 days. The punishments for multiple convictions are more severe. We can discuss the particulars of your situation during a free consultation. Depending on the circumstances and facts of your individual case, a DWI attorney may recommend that there be a motion to suppress certain evidence, a hearing on lack of probable cause to arrest, a hearing on lack of reasonable suspicion for a stop of your vehicle, or a full trial on the merits of the case. It is important to consult with an attorney about your individual case and to discuss what you can be doing to best prepare for your hearing and to hire qualified counsel with experience litigating these cases. If you plead guilty or are found guilty of DWI, then the Court proceeds to a sentencing hearing. A judge determines an individual’s DWI sentence by weighing mitigating (good) factors against aggravating (bad) factors. 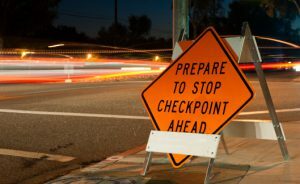 There are several actions you can take prior to sentencing to mitigate your sentence and improve your position with the Court, so it is imperative to discuss this with your DWI attorney. He or she can also explain the sentencing structure and what you can expect to be included as part of the punishment from the court based on your particular circumstances. If you are convicted of a DWI in North Carolina, your license is automatically suspended for at least a year. However, depending on your case, you may be eligible for a limited driving privilege allowing you to drive for certain purposes like work, maintenance of your household, community service, court-ordered treatment, and school. They have time and geographic limitations. If you have been charged with Driving While Impaired(DWI), you should discuss the details of your arrest with an experienced DWI attorney. A DWI is a serious offense with life-changing consequences. Your DWI attorney at Thomas, Ferguson & Mullins can ensure that your rights are protected throughout the process. Call us at (919) 682-5648 or contact us online to set up a free consultation to discuss your particular circumstances. Once you've been charged with DWI, an experienced attorney may be all that can prevent this mistake from causing you difficulties for years to come.